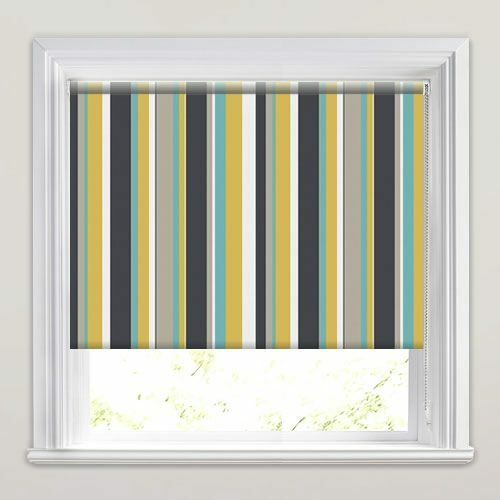 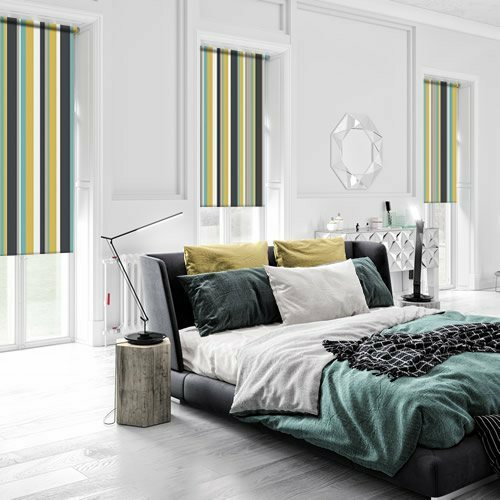 Add vibrant colour and striking stripy design to your homes décor with the luxurious vertical striped roller blinds. 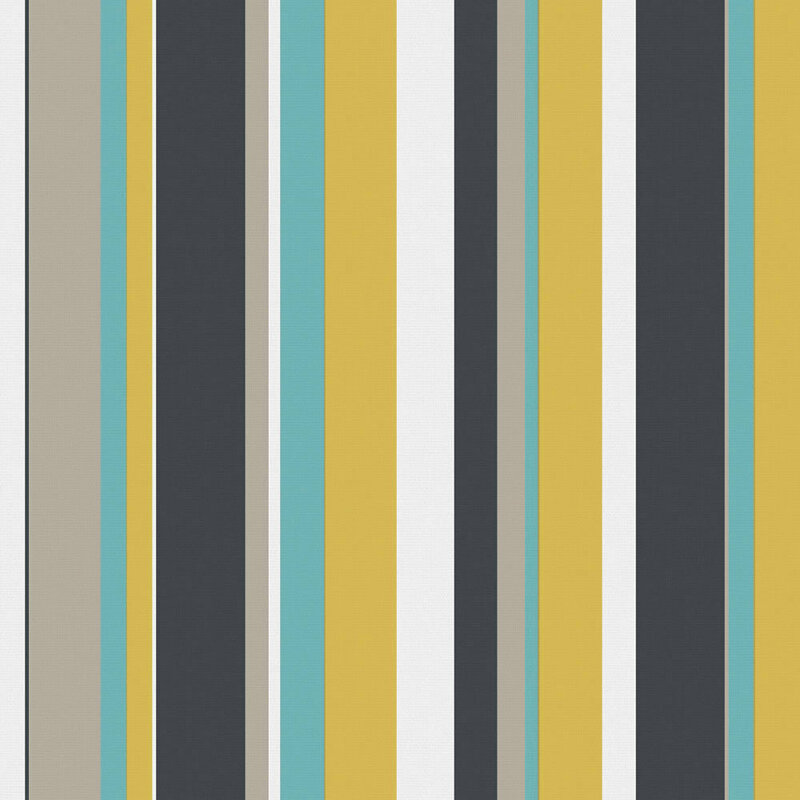 Their contrasting bold block stripes are presented in rich tones of golden yellow, aquamarine, charcoal, beige and white. 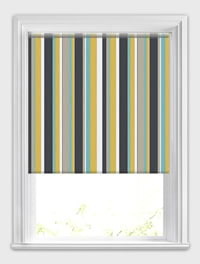 They are the perfect way to bring brighten up any window in the most fabulously stylish and sophisticated way.